The reductive math of Rotten Tomatoes might have its detractors, but you likely won't hear the makers of Thor: Ragnarok complaining. That's because the third film in the Thor franchise now sits as the highest-scoring movie ever in the Marvel Cinematic Universe, according to the film-review aggregation site. Yes, although 2008's Iron Man is the undisputed granddaddy of the MCU, its long-reigning score on RottenTomatoes.com (94 percent certified "fresh") has been eclipsed by Ragnarok (96 percent). That's not simply an early tally, either. The franchise's pivot to a more humorous tone is registering with critics at large, as Ragnarok (opening Friday ) has 125 positive reviews out of 130 total. Among Marvel universe films, Ragnarok is immediately followed on the site's "Tomatometer" ranking by Iron Man, this year's Spider-Man: Homecoming (92 percent), 2012's The Avengers (92), 2014's Guardians of the Galaxy (91) and last year's Captain America: Civil War (90). And last on the list of the 17 MCU films? That would be 2013's Thor: The Dark World (66 percent) - meaning that Ragnarok rates as the single greatest uptick between films for any Marvel character's franchise. 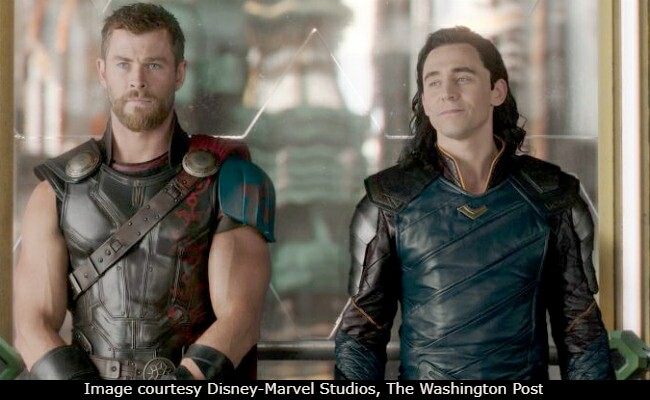 Thor: Ragnarok, directed by Taika Waititi, has also grossed $109 million overseas as the studio sets its sights on a domestic debut north of $100 million.